Used alongside the stunning bauble place card holders, these name cards feature the distinctive ‘Shimmering Snowflake’ design with plenty of blank space on which to write your guests names. 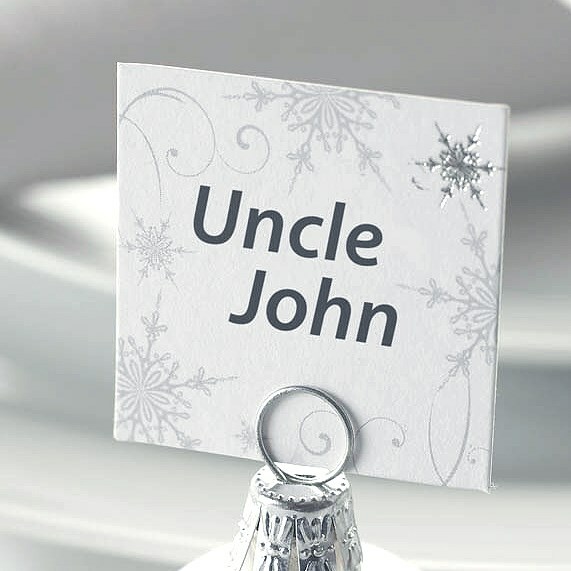 Supplied in packs of 10, these place cards are a stunning way to allocate your table settings. PLEASE NOTE: These cards are supplied without lettering ready for you to enter your own names.